Welcome to Dr. Akbilgic’s Predictive Modeling Laboratory. Our Lab was found under the umbrella of UTHSC-ORNL Center for Biomedical Informatics (CBMI) and located at the Le Bonheur Research Center, Memphis, TN. Our lab focuses on development and implementation of Statistical Modeling and Machine and Deep Learning algorithms to improve and assist clinical decision making. Predictive Modeling Lab offers cutting-edge solutions for a wide range of problems in Clinical Decision Making with its team and collaborators for prediction,classification, and clustering. 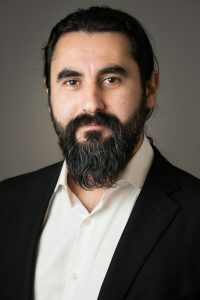 Oguz Akbilgic, Ph.D. is an Assistant Professor at the Center for Biomedical Informatics. His expertise in biomedical informatics ranges in Predictive Modeling, Data Mining, Neural Networks, Statistics, Classification, Prediction, and Clustering.